• Dishes & Cups: Your kid’s art could decorate the tops of ceramic plates and coasters or the sides or mugs and thermoses, adding childhood creativity to every meal. • Office Equipment: To brighten up your partner’s workday, give him or her a mouse pad, journal, or memo pad with the drawing on top. If he or she is still in school, consider creating note cards with the art on one side. • Shopping Supplies: Children’s drawings make a great addition to tote bags and keychains, displaying pride in your child on every shopping trip. • Decorative Devices: Place childhood art on pillowcases, frames, ornaments, outdoor flags, jewelry boxes, and fridge magnets. There’s little limit to the kinds of items your child’s art can decorate, and thus no end to the opportunities for great Valentine’s Day gifts. Each holiday can be fun, unique, and memorable. 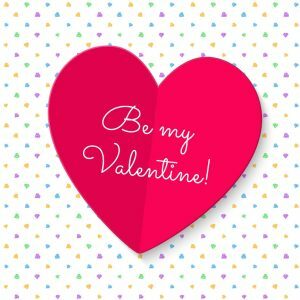 Children love the chance to take part in creative projects, and Valentine’s Day drawings are the perfect opportunity to get your kids involved. Encouraging them to create meaningful, personal artwork for you, your spouse or partner, and/or a sibling will be an exciting, special task. YourIs kids will be happy to offer the best of their artistic efforts, eager both to provide your partner or other family members with a beautiful Valentine’s gift. Once you all are finished, your children will feel accomplished, valued, and endowed with a new sense of love for their parent, stepparent, or extended family members. Families come in all shapes, sizes and types! If your partner is not the mother or father of your child, they have likely experienced at least some anxiety about their role in your family. This Valentine’s Day, send your partner a message using your children’s artwork that you and your children love and embrace them, and are spending all of your creative efforts to make them feel welcome. Artwork adaptations make great gifts for anyone in your life, any time of the year. For more information on making the most of your kids’ artwork, contact Original Works today.